Secure, flexible viewing for your tablet or phone. Lightweight, flexible and sturdy, this convenient mounting solution offers hands-free access to your phone or tablet, so you can get the perfect viewing angle in bed, studying at your desk, in the kitchen or pushing a pram! Easy screw-on clamp for desks, beds & more! 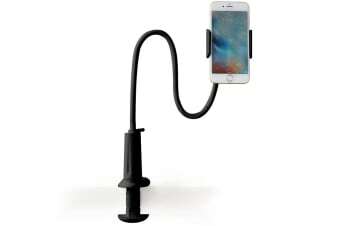 Malleable gooseneck design – create the perfect angle anywhere! Perpetually cradling your phone in awkward positions and curling yourself into back-breaking poses in an effort to get comfortable? 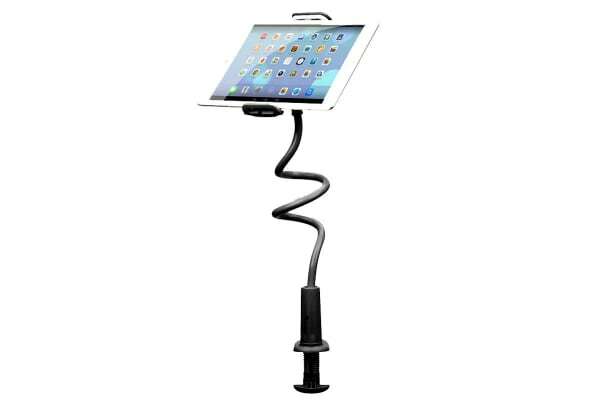 The versatile Kogan Flexible Tablet & Phone Mount helps to relieve tension on your neck and wrists caused by looking down and holding your device. 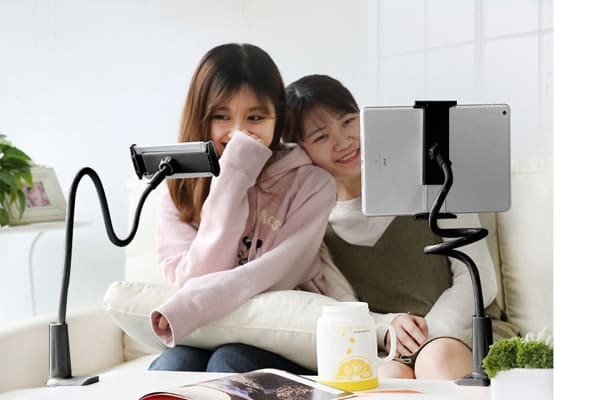 The flexible neck extends up to 80cm and can be rotated 360° making it easy to find the perfect viewing position for hands-free Netflix binges in bed, foolproof entertainment for the kids while you’re cooking or an extra screen for studying! Whenever you need it, easily move from surface to surface with the easy clamp-on design.